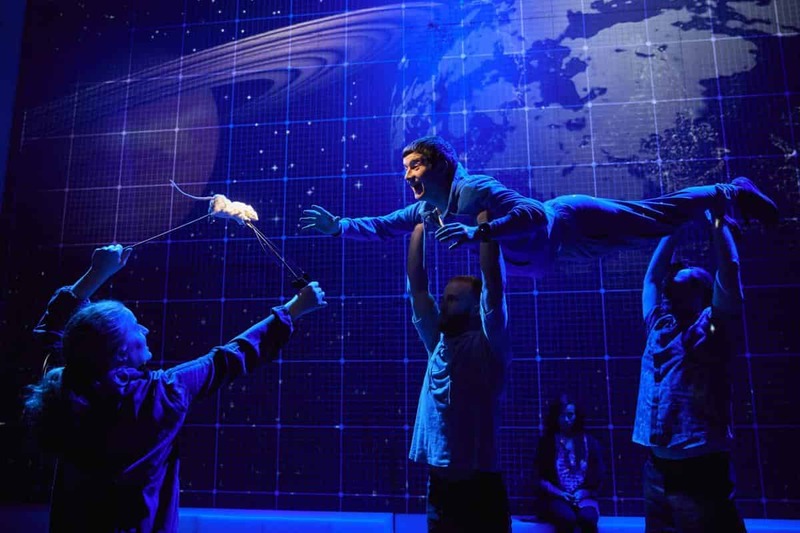 Review: The Curious Incident of the Dog in the Night-Time, Birmingham Hippodrome! 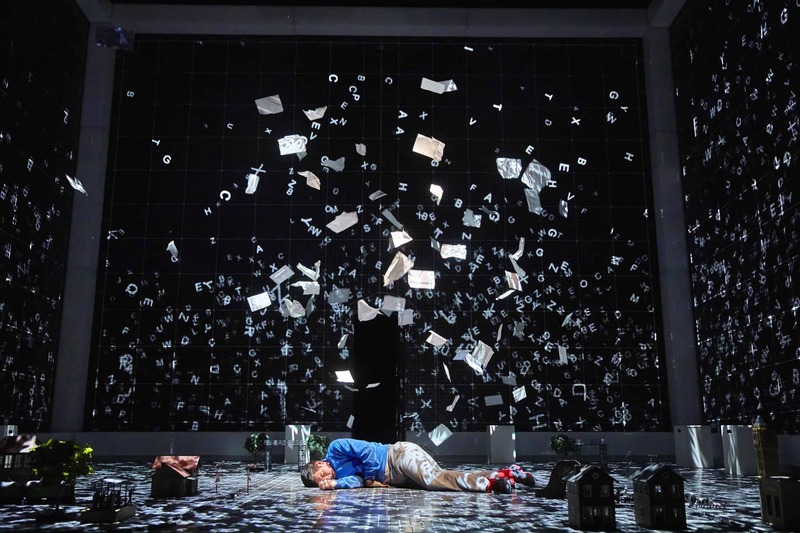 The National Theatre adaptation of Mark Haddon’s best-selling novel mesmerised us throughout the 2 hour show. 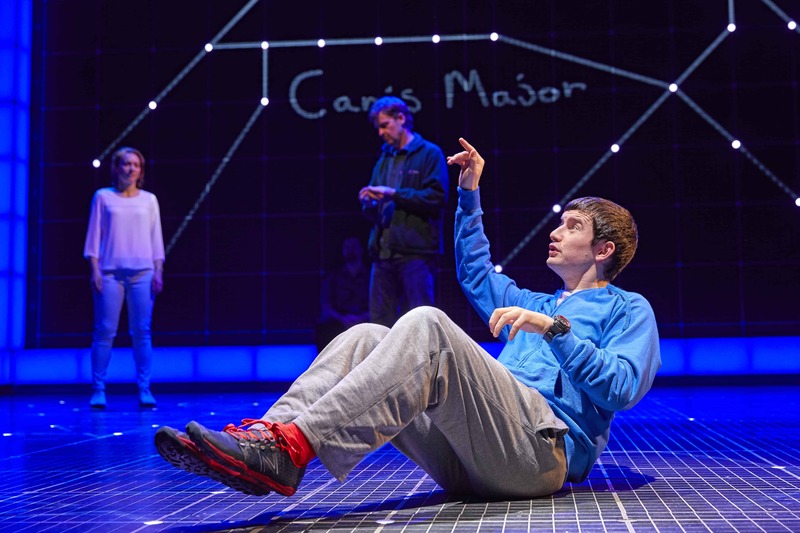 The National Theatre’s internationally acclaimed production of The Curious Incident of the Dog in the Night-Time has returned to the Birmingham Hippodrome – and we were invited to Tuesday’s press night at the stunning venue. Winner of 7 Olivier Awards and 5 Tony Awards including ‘Best Play’, The Curious Incident of the Dog in the Night-Time brings Mark Haddon’s best-selling novel to thrilling life on stage, adapted by two-time Olivier Award-winning playwright Simon Stephens and directed by Olivier and Tony Award-winning director Marianne Elliott. To be truthful, we heard that you should see the play first then read the book – So that’s exactly what we did, we had no idea of what to expect going in. The story follows Christopher, fifteen years old, and his extraordinary brain – he’s exceptional at maths while ill-equipped to interpret everyday life. Christopher has never ventured alone beyond the end of his road, he detests being touched and he distrusts strangers. 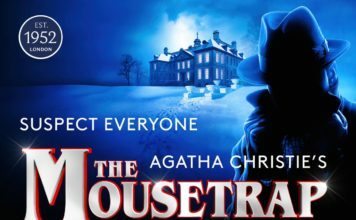 When he falls under the suspicion of killing Mrs Shears’ dog, it takes him on a journey that upturns his world. Christopher has Asperger’s syndrome and the role was played exceptionally well by lead actor Scott Reid. As the character’s emotions often ran high during the story, Scott made sure us, the audience, could feel every bit of emotion Christopher was going through. It’s really hard to explain the story without giving much of the plot away – But as Christopher’s aspergers distracts him on a daily basis he slowly starts to uncover, as the story progresses, two major twists which turn his world and everything he once knew upside down – Including who he can trust. 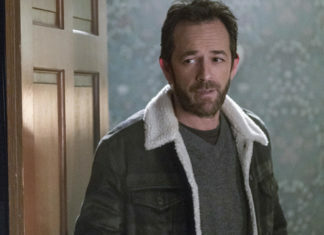 Scott was definitely one of the most memorable performances of the night, but Christopher’s dad, Ed, who was played by David Michaels, was equally as good at portraying such an important character to the story. David split the audience’s opinion when it came to picking sides half way through the show – we could feel his excruciating heartbreak and vulnerability. 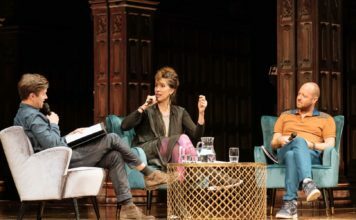 Lucianne McEvoy impressed us as the role of Siobhan, who encouraged Christopher to turn his investigative story he wrote into a school play – which was shown on the Hippodrome’s stage. 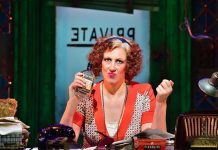 One critical stars of the show that we cannot stop thinking about is… the marvellous set! The set was constantly changing and syncing with the white boxed props which carried the story. 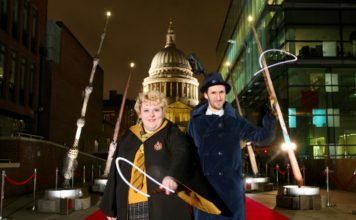 The futuristic and hi-tech set showed the audience what exactly was happening in Christopher’s head – as well as setting the backdrop of scenes like the London Underground. As act 1 was coming to a close we never realised the set had so many doors which hid parts of the LEGO train set – It seriously blew us away. 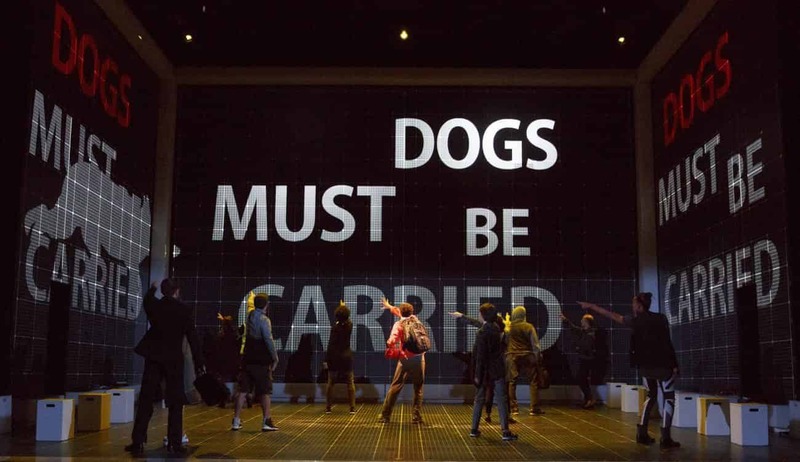 The Curious Incident of the Dog in the Night-Time is a spectacular and heartwarming show which you should definitely see this week, if you can, at the Birmingham Hippodrome. The Curious Incident of the Dog in the Night-Time is a spectacular and heartwarming show which you should definitely see, it's unmissable. 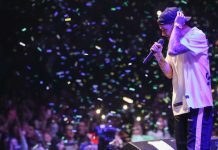 Free Radio Live 2017: A night full of pop-tastic entertainment! 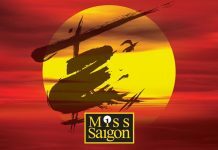 Review: Miss Saigon, Birmingham Hippodrome! 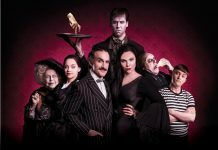 Review: The Addams Family: The Musical Comedy, Birmingham Hippodrome! 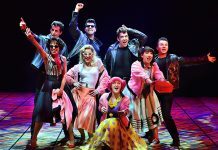 Review: Grease The Musical, Birmingham Hippodrome!